Has your home been on the market in Lakeland for a long period of time? I’m sure it is not easy for you worrying about the sale of your home with the housing market in turmoil and the crisis in the economy. How do you handle the “house karma” – a term that real estate agents use widely – anxiety about selling your home? With mortgage rates at an all time low, home prices at their lowest reaching folks who are still looking over the fence and plenty of homes on the market, I’m very optimistic that the year 2009 will improve as the year progresses. 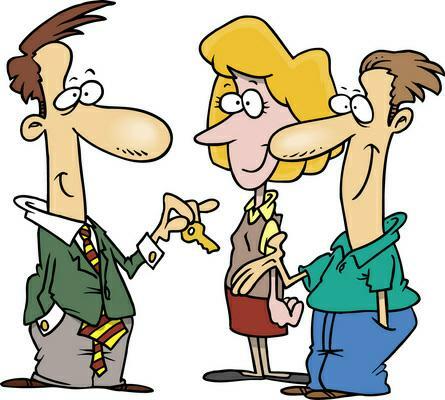 Homeowners who price their home realistically will be at ease managing to sell. Let me give you some suggestions for “house karma” – selling anxiety. Count to ten…… this may help but honestly surrounding yourself with an experienced real estate agent who is calm and collected, who can handle stress very well and has been there, hence gone through past recession is by far the best suggestion to alleviate stress and greatly improve your chances of a smooth sale in Lakeland. Real Estate Agents, whose income depend solely on commissions from selling your home are as equally stressed as the property owner who is trying to sell the home. This can only sum up to more stress which amounts to an unsuccessful sale. Exercise regularly is a great stress reliever – a great workout constitutes to optimism and positive attitude. Harmony within the household – aim for a sense of normalcy, allowing children their playtime as long as they agree to put their toys back before a showing. Disappear for showings – homeowners still believe that being present at the time of showing could be positive knowing all the ins’ and outs’ of the home. However, prospective buyers mostly feel uncomfortable and nervous when the seller is present, making it hard for them to imagine the home as their own. Consider visiting friends or go watch a movie at the theater to relief anxiety. Leave for a weekend getaway – getting out of town works wonders and is an excellent stress reliever when selling your home. You don’t have to take your property off the market while you are taking a break. In this day and age where cell phones, emails and texting are as common as food, a skilled listing agents should have no reason they can’t reach you promptly to keep the communication line open and discuss offers coming in while you’re away. Seller’s Net Sheet or should I ask: How much lower can you go? Before I go out on my listing appointment, I prepare a detailed CMA (Comparable Market Analysis) to come up with the best recommendation for the Seller to price the home right. The seller will also get an estimated Seller’s net sheet so they can see what their proceeds will be. I’ll base the net sheet on the lower end of the recommended listing price detailing all the typical expenses, such as commission, title charges, government recording and transfer charges, additional settlement charges, they have when it is time to close, including the mortgage payoff if there is any and estimated property tax proration. It was not too long ago, I remember when the buyer would bring money to the closing table and the seller would leave happily with a nice check in their hand heading to the bank? Aah… these were the good times. With the declining home values, it becomes more and more apparent that an old game of tug of war is being played between the seller and buyer. It shows that times really have changed. More often now, the table is reversed – Sellers has to bring the check to the closing table or walk away with no money to take to the bank. Sellers – please ask yourself these questions below before you sign on the dotted line of the listing agreement! How much lower can I go? Value of my home today including mortgage and selling cost does it equal the purchase price I am willing to accept? Do I really have to sell my home? The bottom line you must consider is that your home is sold when the buyer, the buyer’s lender, the appraiser, and of course yourself are all in agreement. When an offer is received, you want to make sure that another seller’s net sheet is prepared prior to signing a binding real estate sales contract. Folks, if you are thinking about selling your home, make sure that you are given a detailed CMA and an estimated Seller’s net sheet before signing a listing agreement. Now that you’ve done your homework, you’ve got your financing in order and have been preapproved for a mortgage loan. Now, let’s have some fun finding a new home for you. Do you have your priorities set to buy a home in Lakeland? Home buying is a very emotional time, especially if it’s your first time. Emotions can make you blind and can be a barrier in your home search, so don’t let emotions cloud your judgment. Just because the home you are considering has a gorgeous bathroom, however you forget that the living room is too small for the size of your family. Never judge a house by how the current home owner has decorated, since the decoration will most likely vanish when the seller leaves. You would want to make a list of your wants and needs? Needs are those things that you can’t live without and should be very basic and wants are the things you would like to have but you can do without. Number and size of the rooms – Is your family growing, do your furniture fit in the bedrooms? Garage size -Depending on how many cars you own and since we don’t have basement in Florida, is the garage large enough for additional storage? One-story or two-story layout – Bedrooms located all on the same floor. Master suite or a laundry room on the first floor or second floor? Split level floor plan where the Master Bedroom is located on the opposite end of the other bedrooms. What about the yard? Is the yard large enough for your children or pets to play? Does privacy play an important role in choosing a home? Do you have time or the aspiration to maintain the lawn and flowers? Location, Location, Location… – Checking out the neighborhood on all sides of the property and the vicinity for traffic, busy street, noise, potential danger to children is valuable to your home purchase. The checklist can be endless and it really would be impossible to provide such a list. It is so important to determine what you like and dislike about your current living condition. While it is important to consider the aesthetics of a property, consider that much of what you see can be changed. Real estate agents have a reason for the term “starter home.” First-time home buyers rarely have the funds or fortune to get everything they want in their first home. You want to make sure that your basic needs are covered and later add the wants when the funds are available. With home prices dropping like hot cakes and foreclosed homes, you also want to be cautious when you take on a home that requires repairs upfront – can you handle more work than what you bargained for? Setting your priorities first before buying a home in Lakeland is the key to have a smooth home purchase.